If you're a regular reader of my blog, you'll know of my love for the Avon Nailwear Pro+ range. The formula, colour range and brush are all fantastic so naturally I thought their ColourTrend range was also worth a go. Unfortunately, I was very disappointed. Although I love the shade which I went for, Bikini, both the brush and formula were a let down. The brush is thin, doesn't 'fan out' as you apply the colour and the formula is thick, gloopy and streaky. It took 4 coats to get it looking opaque, by which time it had formed a thick, bumpy layer on my nails. I'll definitely be sticking to the Pro+ range in the future! 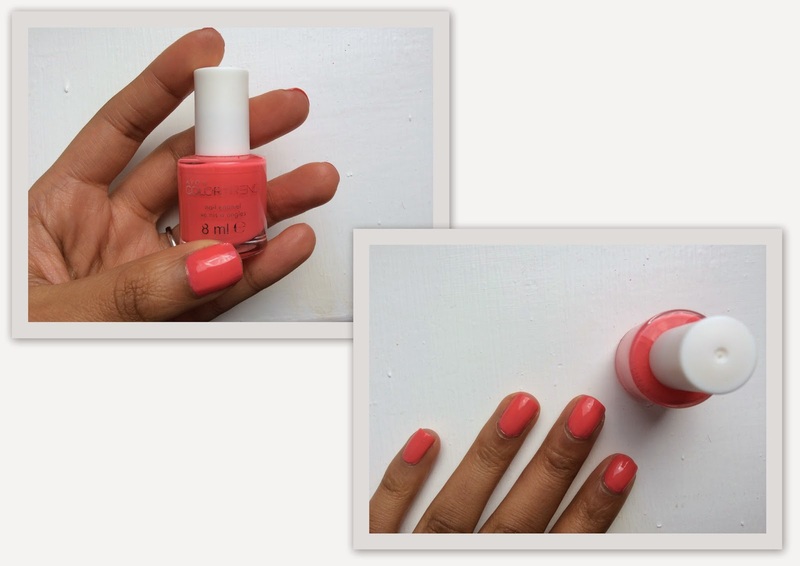 Have you ever come across a nail varnish that you were really disappointed with? I've never tried this range before but I haven't painted my nails that shade in a while! Great shade! This such a cute color!